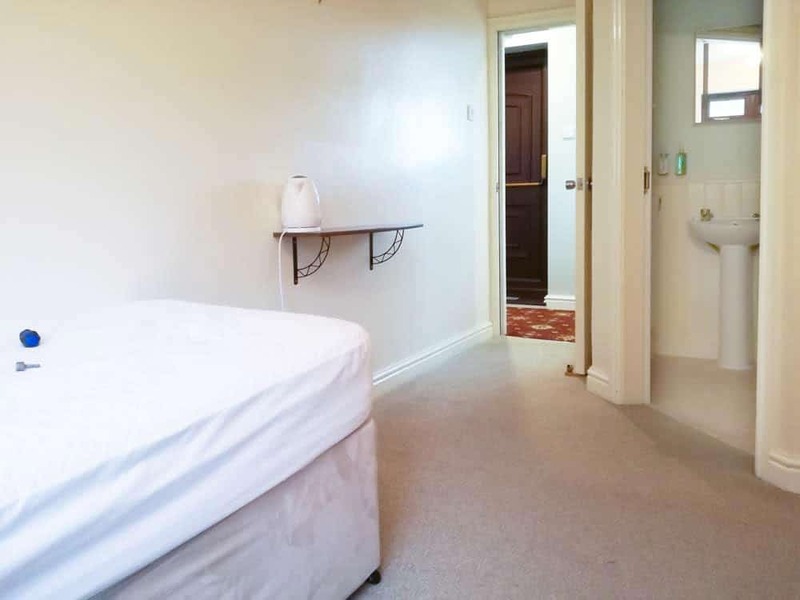 Well that’s about to change, as we’re knocking our existing Twin Room and one of our Triple Rooms into one large family room for up to 5 guests. 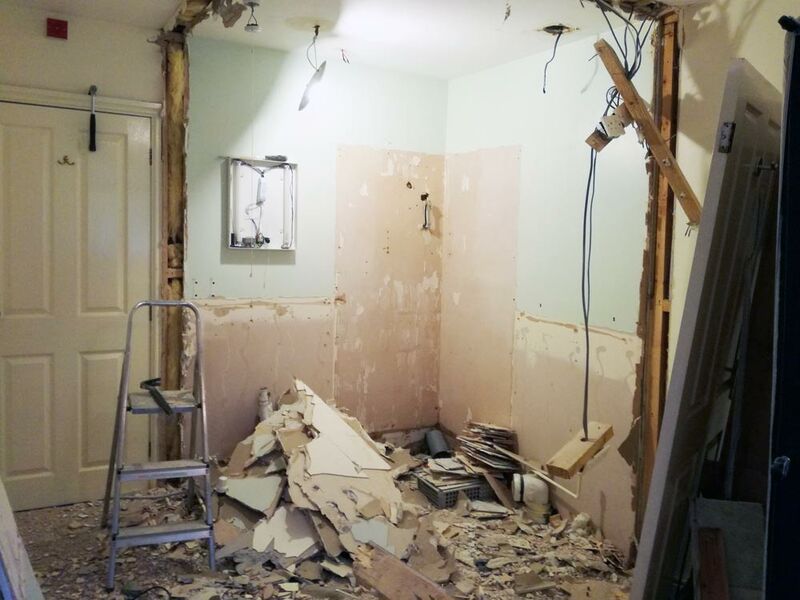 This may sound like a fairly simple exercise (well it did when we were talking about it), but it entails ripping out the ensuite from the Twin Room in its entirety, including the walls, door frame, toilet, basin, shower and radiator, then making good. Luckily there are several plus points to ripping the guts out of our old Twin Room – Not least is seeing the back of the bloody awful 1980’s tiles! Something we’ve been looking forward to since we moved in. Still, Rome wasn’t built in a day, and we’ve been steadily refurbishing the whole place since then. As I set about removing the basin, I was wondering if plumbers have a different view of the world, given that they must spend half their day looking at everything upside-down. Still, with the blood rushing to my head, I fumbled around trying to undo the nut that holds the taps in place, which for some strange reason is always hidden in the most inaccessible part of the sink, especially designed so normal spanners and wrenches aren’t able to reach. Personally, I suspect it’s a ploy thought up between the sink manufacturers and the makers of those weird plumbers wrenches. Of course, being a seasoned DIY practitioner, I have virtually every tool that’s ever been made, so that’s not a problem. It comes under the category of ‘the proper tool for the job’. These are the tools that are bought with the intention of making the job then times easier, so it doesn’t matter if you only use them once every year or so. Well it would have been ten times easier, if I could only discover where I’d put the poxy thing among all the other tools I own. So there I was, in the obligatory head upside down position, with a spanner in one hand whilst trying to simultaneously twist the tap to loosen it. To my surprise the tap nut did actually come loose but, despite having isolated the water supply (I’m not that stupid. Well mostly), the usual spurt of water emerged and started to run down my arm, then onto my trousers. One day I’ll complete a plumbing job without either getting wet, or having bulging eyes from hanging like a bat for hours. 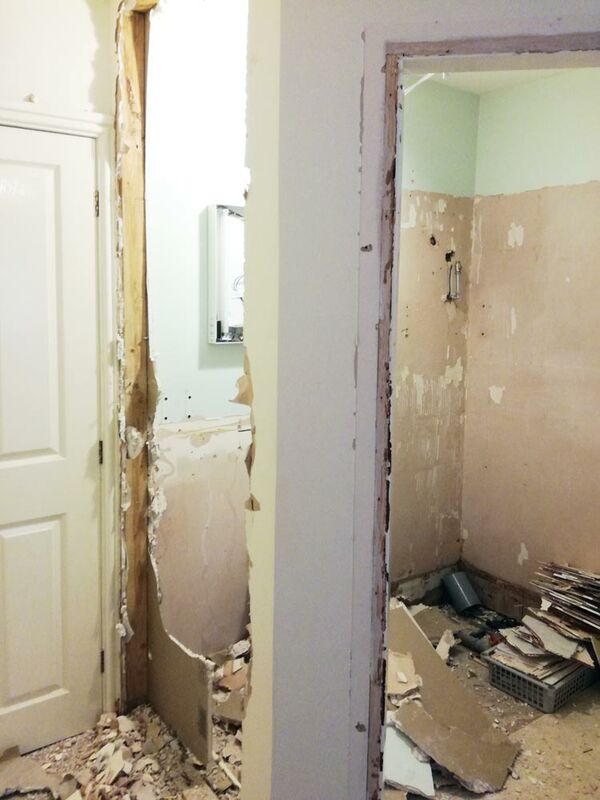 The next task was to remove the walls and door frame from the ensuite. Simply really, you just arm yourself with a large hammer and an even larger crowbar and go to work. 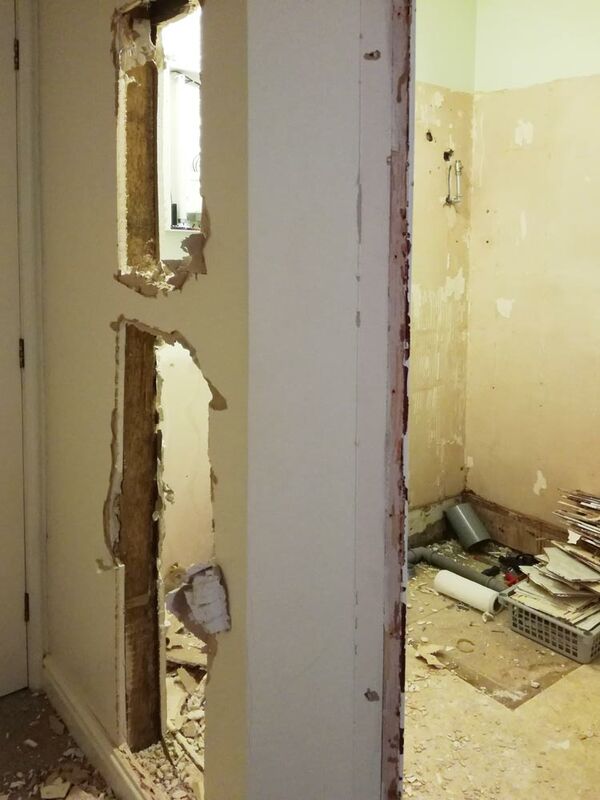 The noise and dust are something else, but there’s something quite theraputic about destroying a stud wall, especially when it was put together really quite well when it was first built. 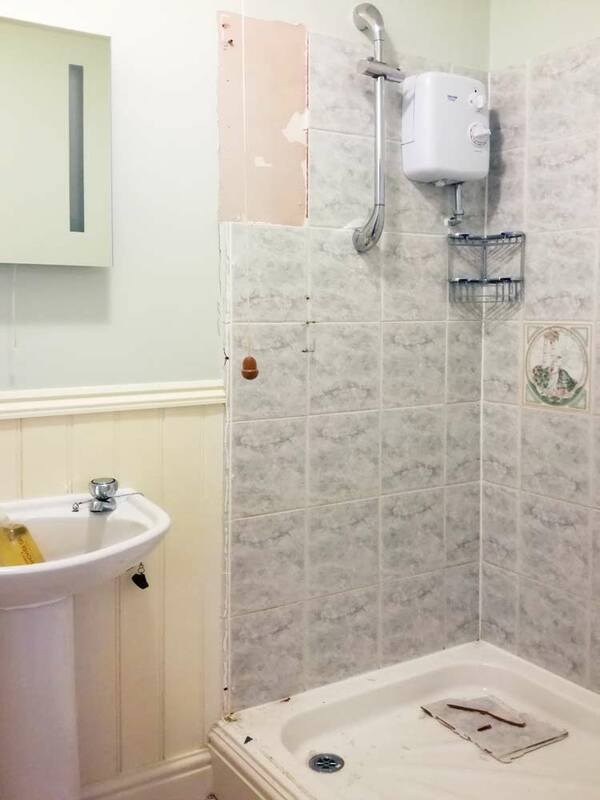 Having said that, the guy who did the plastering clearly didn’t understand the definition of the word ‘skim’ when he slopped on a coat about half and inch thick. Not that I could do any better. Personally I think plastering is one of the dark arts, practiced only by magicians and wizards. All of which left us with this mess to be cleaned up, which is why we’ve got a nice big(ish) skip in the carpark. 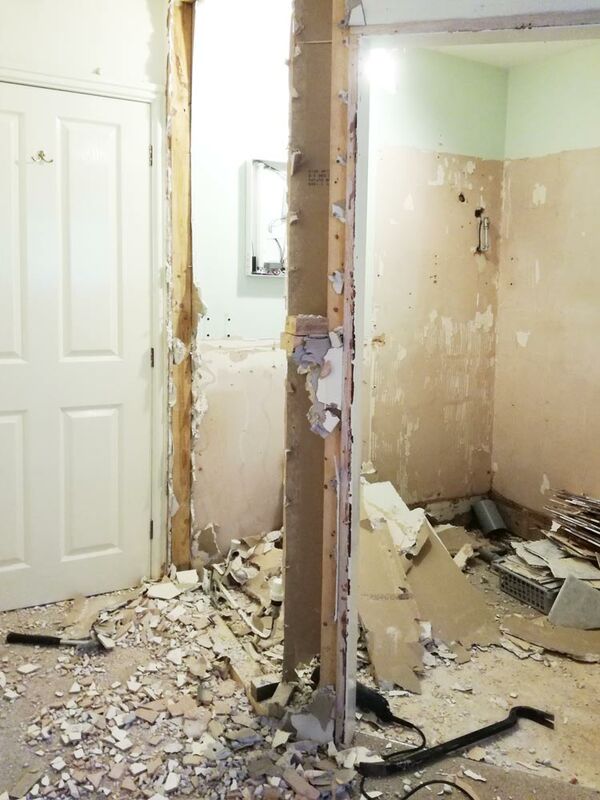 Next steps include removing the ensuite contents from the Triple Room next door, adding new walls to make it bigger, then bashing through part of the diving wall between the two rooms.